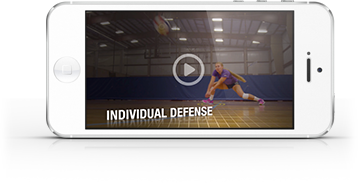 A simple drill that trains players to make quick changes of direction to pursue and control shots is demonstrated here at Texas Advantage Volleyball (TAV) club. The coach stands at the net; the players start near the back line. One by one, they run to dig loopy tosses from the coach. In the video, the players count off each dig until reaching 40. Then, the game starts over with every player making two digs rather than just one. Not only does this drill teach players to react to the unpredictable, it’s good for conditioning. By the time players get back in line, it’s almost their turn again.